Longlisted for work published by the New Statesman. 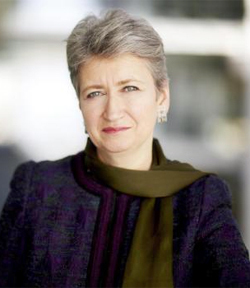 Lindsey Hilsum is Channel 4 News’ International Editor. She has reported from every continent in the world (apart from Antarctica), and is particularly interested in Iran, Afghanistan and Mexico. She was in Baghdad during the 2003 Iraq war, Belgrade during the NATO Kosovo campaign and has worked extensively in Zimbabwe and the Middle East. She spent two years based in Beijing for the programme. Lindsey has won numerous awards, including Royal Television Society awards for her reporting from Fallujah, Beslan and with Palestinian refugees. Before joining the programme she reported for the BBC and The Guardian from Africa and Latin America.